4.1 out of 5 based on 38 bloggers and 5 commenters. 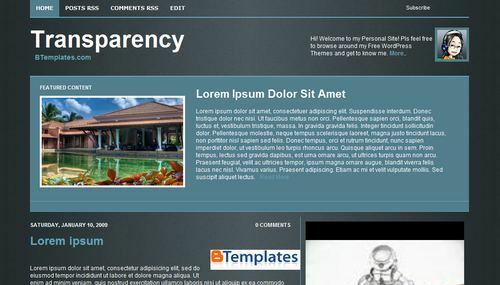 Transparency is a free blogger template adapted from WordPress with 2 columns, right sidebar and neutral colors. great templates, thanks for sharing! Esa parte que dice FEATURED CONTENT que codigo necesito insertar para agregar un texto y una imagen tal cual aparece alli donde dice Featured Content. How do you get the featured content box to work?